Huayan Monastery of Datong, which was named after the Huayan sect of Buddhism. 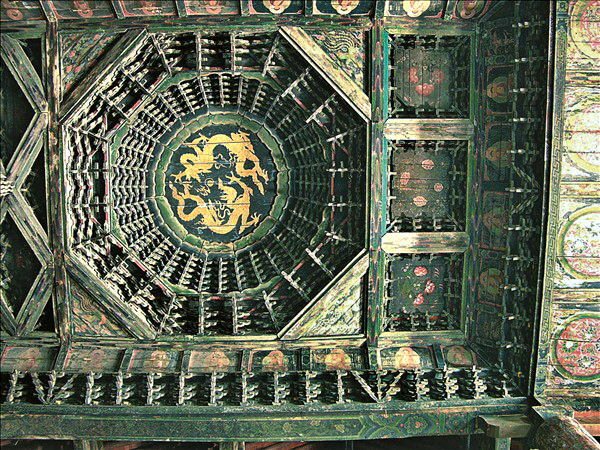 And it is the largest and most perfectly preserved temple of the Liao (916-1125) and Jin (1115-1234) dynasties in China. Uniquely its architecture, sculptures, murals are rare forms of art known to China's Liao Dynasty. The monastery is divided into two parts, Upper Monastery and Lower Monastery. Upper Monastery is famous for the magnificent main hall. The 1,559-square-meter-large main hall is the one of the two giant Buddha halls in China. It was built in 1062, Liao Dynasty and reconstructed in 1140, Jin Dynasty, showing great architectural value to scholars of Buddha builtings in Liao/Jin Dynasties. The Qing Dynasty (1644-1911) added 21 vast murals to the main hall and they enjoy perfect preservation. Compared with Upper Monastery, Lower Monastery receives much attention for sculpture art. 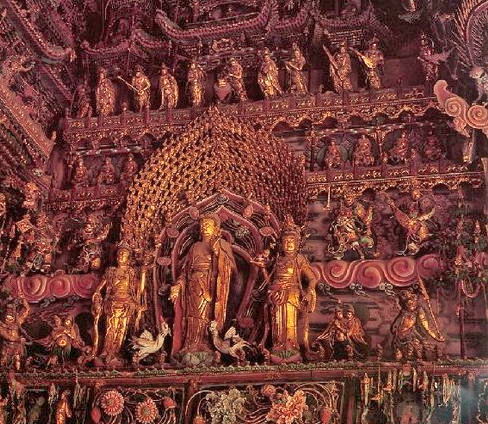 The hall boasts 31 Buddha sculptures shaped in Liao Dynasty and 2 of them look extraordinary elegant. One joins palms and smiles with brilliant teeth, which you can hardly find from Buddha sculptures elsewhere; the other one Samantabhadra (called Puxian Buddha in Chinese) shows delicate facial expressions, worthwhile your serious appreciation.